TORRANCE UNIFIED SCHOOL DISTRICT, CALIFORNIA DEPARTMENT OF MENTAL HEALTH, AND LOS ANGELES COUNTY DEPARTMENT OF MENTAL HEALTH. The due process hearing in this matter was held on January 18 and 19, 2011, in Torrance, California, before Clifford H. Woosley, Administrative Law Judge (ALJ), Office of Administrative Hearings (OAH). Student filed a Request for Due Process Hearing (complaint) on November 8, 2010, against the California Department of Education (CDE), California Health and Human Services Agency (CHHS), CDMH, LACDMH, and District, as respondents. On December 6, 2010, OAH denied CDMH’s motion to be dismissed as a party but ordered dismissal of the complaint’s issue two, which alleged violations of state and federal civil rights statutes beyond OAH’s jurisdiction. On December 9, 2010, OAH granted CDE’s motion, dismissing it as a party. On December 24, 2010, OAH granted, for good cause, CDMH’s and District’s request for a continuance of the due process hearing. On December 27, 2010, OAH denied District’s motion to be dismissed as a party, but granted its motion to dismiss allegations as to similarly situated students. On December 28, 2010, OAH granted CHHS’ motion and dismissed it as a party. OAH also denied CDMH’s motion for reconsideration of OAH’s denial to dismiss it as a party. District, LACDMH, and CDMH remained as respondents. Did District, LACDMH, and/or CDMH deny Student a free appropriate public education (FAPE) following the Governor’s October 8, 2010 veto of AB 3632 funding, because respondents delayed providing a residential treatment center (RTC) placement in Student’s individualized education program (IEP) as recommended by LACDMH’s AB 3632 assessment? 1. Student is a 14-year-old, eighth grade boy, who has resided within the District’s boundaries at all times relevant herein and is eligible for special education services as a student with emotional disturbance (ED). Student was diagnosed with bipolar disorder and has attended Heritage School, a RTC in Utah, since December 29, 2010. 2. Mother testified about the progression of Student’s emotional disorder over the previous three years. In August 2007, at the beginning of fifth grade, Student was diagnosed with bipolar disorder. Student was depressed, made violent drawings, and exhibited a dark demeanor. He was becoming aggressive and was no longer a happy kid. Student’s psychiatrist prescribed a number of different medication regimens, with varied success. When the prescriptions needed to be changed, the transition would cause a lot of volatility. Student treated with his psychologist, weekly. He saw his psychiatrist monthly. Student liked going to counseling and slowly responded. In fifth grade, Student was tutored two to four times a week for homework and study. 3. Soon after the beginning of the 2008-09 school year, Student started having trouble with his sixth grade classes. Student’s parents (Parents) sought school involvement, by requesting a section 5044 plan to assist with class work and seeking accommodations to keep Student on task, such as sitting close to front, cuing, avoiding distractions, and using a testing room. Student’s bipolar disorder had progressed and school became increasingly stressful, making homework and home life an ordeal. Mother testified that Parents needed the school to assist in keeping Student focused as part of a more consistent and holistic strategy. 4. The psychiatrist prescribed medication changes during sixth grade, which caused Student periods of anger and frustration, with increasing anxiety. Some strategies that had worked to control Student’s behaviors in the past no longer worked. Student continued to act out at home, especially after the medication caused Student to gain weight. Pupils would tease him about being fat, which resulted in him coming home aggravated, and unable to focus or control his behaviors. Homework continued to be very difficult for him to complete, despite 504 accommodations. Student received grades of A, B, and C, but they were partially the result of Mother doing Student’s homework for him, just to get it done. Mother explained that some of Student’s teachers were aware of her completing Student’s homework assignments, but accepted the homework anyway, because they knew of the struggles the family faced at home. However, Student did not act out at school, as Student viewed school as a safe place, and he invested a lot of energy in acting “normal” there. 5. In September 2009, Student started seventh grade for the 2009-10 school year. In October 2009, Student began exhibiting fits of rage at home, hitting his head on the walls and floor, and throwing objects and furniture. The family’s home had holes in the walls and damaged furniture. Student also physically attacked his Mother, hurt himself, and would try to harm his older sister. His father (Father) would sometimes have to physically subdue Student. 6. Student’s fits of rage were not always physical. Sometimes, Student would start screaming, use obscenities, and call people names. These episodes could last up to three hours. Eventually, Student would become exhausted, and would often collapse and sob, apologizing and saying how he hated his sickness. Mother explained that small, seemingly insignificant events could spark Student’s anger. 7. During fall 2009, Parents became disenchanted with Student’s psychiatrist and changed doctors. The therapist referred Student to psychiatrist Dr. Alan C. Green. Dr. Green’s treatment plan included an aggressive medication treatment to control Student’s aggression and mood swings. The new medications put Student in a near sedated state, which Dr. Green believed was necessary to control Student’s violent behavior. As a result, Student would sleep 12 to 14 hours a day, have difficulty waking up for school, often would not go to school, and was generally drowsy and lethargic. Student’s Parents developed techniques to dress and prepare him for school, even though Student would not be fully awake. Parents informed the school of what was happening regarding Student’s new medication regimen and the associated lethargy. In December 2009, Parents asked District to evaluate Student for special education services. 1 LACDMH did not appear the second day, indicating the hearing should proceed in its absence. 2 The closing briefs have been marked as exhibits: Student’s brief is Exhibit S-25, District’s brief is D-30, CDMH’s brief is CM-10, and LACDMH’s brief is LM-1. 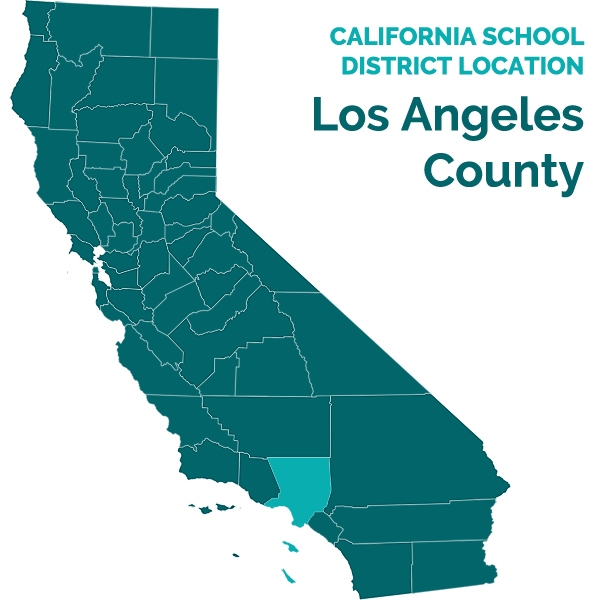 3 The parties submitted a Joint Stipulation of Facts and Evidence (Exhibit S-24) to which Student, District and LACDMH joined in its entirety. CDMH partially joined, stipulating to facts about which it had personal knowledge. To the extent that the findings include stipulated facts to which CDMH did not join, other evidence supports the factual findings. 4 Section 504 of the Rehabilitation Act of 1973 ensures that a qualified child with a disability has equal access to education. The child may receive appropriate accommodations and modifications tailored to the child’s individual needs. 8. In January 2010, the District’s school psychologist, Crista C. Gonzalez, conducted an initial psychoeducational assessment of Student. Ms. Gonzalez testified at hearing. She had been a school psychologist with the District for more than eight years. Previously, she was a school counselor with the District, as well as with the Manhattan Beach Unified School District. She was a teacher for the Hawthorne School District from 1996 through 2000. Ms. Gonzalez earned her Bachelor’s of Arts in psychology in 1996, and her Master’s of Arts in clinical psychology in 1998. She has Pupil Personnel Services (PPS) credentials in school counseling and school psychology. Her duties as a school psychologist include conducting psychoeducational evaluations, consulting with staff and parents, attending IEPs, and providing counseling to students. 9. Ms. Gonzalez explained that she designed her evaluation to determine: 1) Student’s overall level of cognitive and achievement abilities in math, reading and language; 2) if Student was legally eligible for special education services as a student with specific learning disability (SLD), other health impairment (OHI), or an emotional disturbance (ED); and 3) recommendations or modifications to address Student’s specific educational and social, emotional, and behavioral needs. 10. Ms. Gonzalez’ assessment included: 1) a review of Student’s records; 2) interviews with Parents, teachers, Student’s psychologist, Student’s psychiatrist, and Student; 3) Student observations; 4) Wechsler Intelligence Scale for children, fourth edition (WISCIV); 5) Woodcock Johnson II Tests of Academic Achievement, third edition (WJ-III); 6) Test of Auditory Processing Skills, third edition (TAPS-III); 7) Developmental Test of Visual Motor Integration (VMI); 8) Achenbach Teacher’s Report Form (TRF); 9) Achenbach Child Behavior Checklist (CBC); 10) Conner 3: Teacher, Parent, and Student Rating Scales; 11) Piers-Harris-2, Self-Concept Scale; and 12) Reynolds Adolescent Depression Scale, 2nd edition (RADS-2). 11. At the time of her evaluation, Ms. Gonzalez was aware that Student had been diagnosed with Bipolar Disorder-NOS and was under medication for the condition. She understood how the sedation effect of the medication impacted Student’s attendance, and noted that Student’s doctors described his medical condition as severe, and long term. 12. Ms. Gonzalez concluded that Student did not meet the statutory eligibility criteria for serious emotional disturbance. Specifically, Student did not demonstrate an inability to learn, as indicated by his academic results. Per teacher reports and assessor, Student interacted with peers and got along well with others within the school setting. Though Student had a history of inappropriate conduct within the home setting, his behaviors had not interfered with school disciplinary regulations or codes of conduct. Student’s citizenship grades were excellent that year and the previous years. While the teachers reported that Student appeared lethargic due to his medication, the teacher rating scales included no significant or elevated scores in the area of depression. Also, Student’s depression self-report included no significant or elevated scores. Finally, the teachers observed no evidence of physical symptoms or fears in Student associated with personal or school problems. 13. Ms. Gonzalez also concluded that Student did not meet the eligibility criteria for a specific learning disability. The cognitive and achievement test results did not reveal any significant discrepancy between Student’s average ability and his academic functioning. Student’s full scale IQ was average and his academic skill skills in reading, math calculation and reasoning, and written expression were in the average range. 14. Ms. Gonzalez did conclude, however, that Student met the eligibility criteria for OHI due to his Bipolar Disorder-NOS. Student’s medical condition adversely impacted his performance within the school day, given the sedation effects of his medication. Ms. Gonzalez also considered the severity and long term nature of his disorder. 15. The IEP convened on January 13, 2010 to discuss Student’s eligibility for special education services. Ms. Gonzalez presented her report. The IEP team found Student eligible under the category of OHI, and developed an IEP. The IEP provided counseling and specialized academic instruction at the school’s learning center. The IEP also provided accommodations, including modified assignments at teachers’ discretion; peer assistance, if required for note taking support; use of a calculator in the learning center; access to a computer in the library, upon request; preferential seating, close to instruction and away from distractions; and an establishment of a home school communication system, with a daily planner, notes, phone calls, and emails. 16. Parents also requested that Student be referred to LACDMH for an assessment to determine if Student qualified for AB 36325 services. District prepared the AB 3632 referral documents, which Parents signed on January 13, 2010. 17. During the remainder of the 2009-10 school year, Student continued in a drowsy and lethargic state as result of his medication. In addition, the medication caused Student to obsess over food. Student continued to see Dr. Green two to four times a month and his psychologist once a week. 5 In 1984, the California Legislature passed Assembly Bill 3632, adding Chapter 26.5 to the Government Code, which provided for mental health services to special education students. These are commonly referred to as AB 3632 services. 18. In July 2010, LACDMH assessor, Jean L. Wong, a licensed clinical social worker (LCSW), personally interviewed Mother and Student. Mother had significant problems in getting Student to the interview, but he eventually showed up. Ms. Wong described Student as polite and respectful, but very agitated. 19. Ms. Wong reviewed Student’s medical and parent information forms, the January 2010 District psychoeducational assessment, and the referral packet materials. In addition to interviewing Student and Mother, Ms. Wong consulted with Student’s psychologist, Dr. White. Dr. White discussed Student’s psychiatric condition, his escalating violent behaviors, and recommended that Student receive a residential treatment placement. 20. In August 2010, Student began participating in organized football. On August 31, 2010, Ms. Wong contacted Mother, and Mother advised that on one occasion, following football practice, Student had a violent tantrum in the car, and destroyed the car’s console, threw things out of the car, and tried to kick out the car’s window. When they arrived home, Mother remained in the car when Student got out because Mother was concerned Student would hit her. Student tried to kick in the front door of the house, raising the attention of a neighbor. When Student got into his bedroom, he ripped up his comforter and cut up his USC football jerseys. Father had to physically subdue Student. Mother told Ms. Wong that Student’s behavior had become unpredictable and the psychiatrist had increased his medications. In addition, Parents and Student’s psychologist decided that the football program caused too much anxiety. Consequently, Parents withdrew Student from the football program. 21. On September 1, 2010, Ms. Wong issued her AB 3632 assessment report, finding that Student met the eligibility requirements of AB 3632 as an individual with exceptional needs who required mental health treatment in order to benefit from educational programming. Ms. Wong further found that Student was in need of therapeutic residential treatment, but that LACDMH could not place Student at a residential treatment center (RTC) because District had not designated Student’s eligibility as ED. She further stated that once District changed Student’s eligibility to ED, LACDMH would proceed and implement placement in an RTC. 22. Ms. Wong mailed the assessment to the District on September 1, 2010, with a cover letter requesting that the District contact her to schedule an IEP meeting, preferably with two-weeks notice, so she could arrange to have a LACDMH representative present and discuss the assessment finding and recommendations, and facilitate the delivery of the recommended mental health services. 23. Ms. Wong did not interview District personnel as part of the AB 3632 assessment. District first learned of LACDMH’s recommendation for a RTC when District received the assessment report in early September 2010. Ms. Gonzalez was surprised by the RTC recommendations since Student’s mental health had not previously substantively impacted Student in the school setting. 24. At the beginning of the 2010-11 school year, Student looked forward to his eighth grade year; however, within days, Student’s attitude changed, and he stopped getting up to get to school on time. Often, Student would not show up for school until ten or eleven o’clock in the morning, or not at all, which caused Student to fall behind in his classes. This caused Student significant anxiety. 25. Ms. Gonzalez convened an IEP meeting on September 24, 2010. District invited LACDMH to the IEP team meeting but LACDMH did not attend. The IEP team amended the January 13, 2010 IEP to provide for flexible homework and class work grading by the Student’s general education teachers, pending an exploration of the home hospital program because of Student’s absences. The team did not review the September 1, 2010 AB 3632 assessment report for the purpose of discussing appropriate mental health services for Student, as Ms. Gonzalez explained that she was not qualified to do so. Specifically, Ms. Gonzales advised that she was not a LCSW, like Ms. Wong. However, the IEP team recognized that the AB 3632 assessment report referenced the legal requirement that a RTC could only be implemented if Student’s eligibility was ED. Accordingly, the IEP team agreed that recent behaviors and the AB 3632 recommendation warranted a reevaluation of Student’s OHI eligibility. Parent signed an assessment plan to review eligibility and assess Student in the area of ED. The IEP stated that LACDMH would be contacted to set up an IEP meeting to discuss the eligibility results. 26. On October 6, 2010, Dr. Green recommended that Student be put on the home hospital program because Student’s recent exacerbation of his bipolar disorder required medication changes which affected Student’s ability to attend school. The District authorized home hospital program instruction for Student. 27. On October 8, 2010, the California Legislature sent to the Governor its 201011 Budget Act (Ch. 712, Stats. 2010), which in item 8885-295-0001 provided funding for AB 3632 services. On that same day, the Governor signed the Budget Act after exercising his line-item veto authority on several items in the Act. One of the items he vetoed was the appropriation for AB 3632 services by county mental health agencies. The Governor further stated that the AB 3632 mandate was suspended. 28. The District’s director of special education, Dina Parker, first learned of the Governor’s AB 3632 funds veto on October 13, 2010. Ms. Parker, who provided testimony at hearing, has been the director in charge of all special education related services since September 2000. Her job duties include overseeing 700 staff members, 2800 special education students, the delivery of services and programming, and the development and implementation of policy and procedures. She also represents the District in Southeast Special Education Local Plan Area (SELPA), and administrates all due process and compliance complaints involving District. Ms. Parker received a Bachelor of Arts in special education from Arizona State University and a Master of Arts from California State University at Dominguez Hills in educational administration. She previously held a special education teaching credential from Arizona and currently holds education specialist and administration credentials from California. Before becoming director, she held a number of District positions, including a special education coordinator for a year and a half, a special education program specialist for a year and a half, and a resource specialist at Bert Lynn Middle School for five years. 29. On October 13, 2010, Ms. Parker attended the monthly meeting of Southwest SELPA’s special education directors’ counsel. The Southwest SELPA provides its member districts with crucial information related to special education, leading the discussion on maintaining special education services, negotiating and communicating with LACDMH and CDMH, conversing with state government regarding funding, and tracking legislation. The Southwest SELPA helps guide the member districts on handling special education issues and directing staff. 30. At the meeting, SELPA director, Bob Farran, talked about the Governor’s veto. Ms. Parker learned that AB 3632 funding had stopped but that the SELPA was involved in developing plans to maintain services. Mr. Farran stated that LACDMH would, for the time being, continue to fund the current RTC placements and outpatient services, but that LACDMH would no longer attend IEP meetings and would refuse to accept AB 3632 referrals. The district special education directors were advised to continue to make AB 3632 referrals, as well as inviting LACDMH to scheduled IEP meetings. Mr. Farran stated that the districts’ special education staff should not be speaking about the mental health services at IEP meetings because they were not qualified to do so and that the districts should so inform LACDMH. Mr. Farran recommended that the directors fully communicate the situation to their respective administrations and gather accurate information about the mental health services within their districts. Ms. Parker determined that District had 23 students in RTC placement and approximately 60 students receiving other AB 3632 mental health services. 31. On behalf of its member districts, the Southwest SELPA entered into an Interagency Agreement with LACDMH in 2008. Under the agreement, it was LACDMH’s duty to provide related mental health services. Ms. Parker acknowledged, however, that the agreement also stated it was the District’s obligation to provide mental health services when LACDMH did not. Thereafter, the District could seek reimbursement from LACDMH. The District did not make use of these provisions for Student because Ms. Parker said she understood that AB 3632 funding would be coming in and LACDMH’s mental health services would continue. 32. Ms. Parker began searching for potential mental health providers (therapists, social workers, and psychiatrists) with whom the District might contract in case LACDMH continued to refuse to participate in assessing and providing mental health services. However, neither Ms. Parker nor any other District representative advised Parents that the District was legally obligated to provide the mental health services when LACDMH declined to do so, nor did District retain any qualified mental health professionals to review Student’s AB 3632 assessment and provide Student with mental health services. Ms. Parker explained that it was her understanding that AB 3632 funding would be coming soon, and that LACDMH would then continue providing mental health services. 33. Ms. Gonzalez issued an October 18, 2010 Social/Emotional/Behavioral Eligibility Review Assessment, which addressed whether Student had an emotional disturbance that affected his educational progress or performance, as specified in the Education Code, to the degree that it impacted Student’s ability to achieve within the general education program. Ms. Gonzalez interviewed Parents, Student, Student’s teachers, and Student’s psychologist, Dr. White. She reviewed all available records, including documents from Student’s psychiatrist, Dr. Green. She utilized the Achenbach System of Empirically Based Assessment, providing the child behavior checklist to teachers and Parents and giving the youth self-report to Student. She had Student work on the Conners 3-Self Report, Long Form and the RADS-2. She also observed Student. 34. The most notable difference since the January 2010 psychoeducational assessment was Student’s current lack of attendance. Student had been present for only six out of the first 50 days of school for 2010-2011. Ms. Gonzalez determined that the sedating properties of Student’s medications affected Student’s ability to wake up in the morning. Dr. Green reported Student had experienced a pervasive mood of depression during the previous six months that, with frequent mood swings, interfered with his ability to maintain satisfactory interpersonal relationships with peers. Ms Gonzales described Student’s condition as very fragile; he was lethargic and had difficulty concentrating on class work. These factors impacted Student’s educational performance to a marked degree. Accordingly, Ms. Gonzalez concluded that Student met the eligibility requirements under the ED classification. 36. As of October 18, 2010, the District did not inform Parents that the District was legally obligated to provide the mental health services when LACDMH declined to do so. The District did not retain qualified mental health professionals to review the AB 3632 assessment and provide Student with mental health services. 37. Home hospital placement allowed Student to study at home, with a credentialed teacher providing five hours of personal instruction a week. The schedule was for the home hospital teacher to teach Student at home three times a week with two one-anda-half hour sessions and one two-hour session. Student was isolated at home and Student would say he wanted to be in school. However, because Parents and Doctors knew that attending school would elevate Student’s anxiety, impulsivity, and outbursts; they agreed that the home hospital program was a more appropriate placement than attending school. 38. Miriam Nebres was Student’s home hospital program teacher, beginning on October 15, 2010. Her last day was December 9, 2010 because Student’s doctor had excused him from the last week of school instruction before the winter break. She had been a home hospital teacher since 2009, having started with the District as a substitute teacher in 2006. She has a bachelor’s degree in economics and possesses a multiple subject teaching credential. 39. In preparation for her home hospital instruction assignment with Student, Ms. Nebres met with Parents, talked with some of Student’s teachers at Jefferson, determined the curriculum, and accessed the class assignments that Student’s teachers electronically posted on the District’s website. She would go to Student’s home for the three sessions per week, but not before 12:30 p.m., because Student’s medication caused him to sleep to about noon.. Student’s Father would observe the Monday teaching sessions while Mother observed all others. 40. Ms. Nebres taught Student Algebra 1, as well as eighth-grade Science, Social Studies, and English/Language Arts. Student did not like working alone. Student seldom did homework but, instead, waited for Ms. Nebres so they could work together. In math, Student would do every other odd numbered homework problem, as allowed by the teacher per the IEP modifications. Ms. Nebres never gave Student a math exam because he would not study math outside of their instructional time. 41. In English, they worked together with Edgar Allen Poe and Aesop’s Fables, reading the stories and doing the comprehension questions out loud. They did not do poetry because it required memorization, which Student did not like. She worked with Student on Greek prefixes and suffixes, as well as grammar. Student was to read 20 minutes a day on his own, making note in his reading log. Ms. Nebres allowed Student to read nonfiction, because he would only read things he liked outside of their session time together. 42. For Science, Student and Ms. Nebres would take turns reading from the textbook, answering the questions at the end each section. Ms. Nebres had to help Student find most answers in the text. Student was studying United States government in social studies. She used the class textbook and two work sheets, which Student received before instruction began. Student made many errors on the worksheets, which he never did complete. Ms. Nebres used the citizenship test as a means of engaging Student, giving it orally and showing Student the answers in the textbook. 43. Student was polite and courteous to Ms. Nebres. Student never cancelled a session and the family was always prompt. However, Student was a “clock watcher” who was anxious for a session to conclude. He would become inattentive, ask for breaks, move about, read on the couch, or go outside between subjects. Generally, Student had a very short attention span and demonstrated little motivation to learn. Student gave up easily. Two-hour sessions posed a special challenge for Student, Ms. Nebres, and Parents. To encourage Student, Ms. Nebres would break the sessions into half hour segments and not spend too much time on any one subject. 44. In her home hospital program grade report, Ms. Nebres described Student as a reluctant learner who often claimed he did not know how to do a lesson, but, once he started, found his way and could do the work. Student seemed to require someone by his side and, consequently, did not do homework except during sessions with Ms. Nebres. She used the same curriculum as that used by Student’s eighth grade peers, however, Student’s math skills were not at the Algebra 1 level, resulting in a grade of “F” for that subject. Student read at a seventh grade level, and had weak comprehension and oral fluency skills. Student earned a “C” in English, a “D” in Social Studies, and a “D” in science. Student’s mental health symptoms and medication regimen rendered the home hospital instruction minimally beneficial to Student. 45. On October 29, 2010, the IEP team convened a meeting, and invited LACDMH. District representatives and Parents attended the meeting, but LACDMH did not. LACDMH again refused to attend because of the Governor’s line item veto of AB 3632 funding, despite knowing that that Student’s eligibility was going to be changed so LACDMH could offer RTC placement. The IEP team discussed the results of District’s psychoeducational assessment and changed Student’s eligibility to ED. Parents expressed concern about the delay caused by LACDMH’s refusal to attend the IEP team meeting on September 24, October 18 and October 29, 2010. Parents stated Student’s doctor said it was the District’s duty to provide the mental health services because LACDMH refused. In response, the District representatives discussed county and non-public programs. They also referred Parents to the Southwest SELPA director for further information. District did not disclose to Parents its legal obligation to provide Student with mental health services due to LACDMH’s refusal to do so. 46. On October 27, 2010, Student was one of four named plaintiffs that filed a suit in the United States District Court for the Central District of California entitled A.C. v. Schwarzenegger, case number CV 10-7956 (the federal action). The federal action alleged that the Governor’s veto of AB 3632 funding caused California to violate IDEA, the Americans with Disabilities Act, and Section 504 of the Rehabilitation Act. 48. On November 4, 2010, the California Department of Education issued a Grant Award Notification to the Los Angeles County Office of Education, which awarded $15,235,678 in federal IDEA funds to pay for the 2010-2011 Mental Health AB 3632 Services. 49. On November 17, 2010, LACDMH, Parents, and District representatives attended an IEP meeting. The IEP team agreed with LACDMH’s recommendation that Student required residential treatment. LACDMH offered the AB 3632 services recommended in its September 2010 assessment report. 50. On December 16, 2010, Heritage School (Heritage) in Utah notified LACDMH that it would accept Student into its residential program. An agreed upon December 16, 2010 IEP Amendment offered the Heritage School residential placement, nonpublic school and interim mental health services. 51. On or about December 29, 2010, Student enrolled at Heritage. 52. Parents, District, LACDMH and staff from Heritage School attended Student’s annual IEP on January 10, 2011. 53. California Department of Mental Health (CDMH) never directly reviewed Student for eligibility for special education and related services, nor directly provided any special education and related services to Student. CDMH has never attended an IEP meeting for Student. CDMH is not a local education agency (LEA). 54. During the relevant time period, CDMH and the California Department of Education (CDE) were entered into a State Interagency Cooperative Agreement regarding CDMH’s duties related to AB 3632 mental health services. That agreement required CDMH to monitor county mental health departments to ensure compliance with AB 3632 and to make recommendations to CDE in response to compliance complaints, which were referred to CDMH by CDE because of mental health components. The agreement required CDMH to compile Client and Service Information data reports which collected data for all mental health services within a county. CDMH also agreed to report and monitor local interagency agreements between local educational agencies and community mental health departments. The agreement did not address whether CDMH had any obligation to directly provide related mental health services when the community mental health agency failed or refused to do so. 55. Willie Deon testified as the Acting Chief of Community Programs: County Programs Technical Assistance (CPTA) section of CDMH. CPTA is the primary point of contact for the county mental health agencies, providing technical assistance and support involving AB 3632 services. CPTA‘s duties included responding to inquiries from local mental health and education agencies and monitoring compliance with AB 3632 guidelines. As Acting Chief, Mr. Deon would investigate and respond to compliance complaints, referred by CDE, which involved mental health services. After research and investigation, CDMH would report its findings and recommendations to CDE; CDMH did not directly respond to the compliance complaint parties. 56. Mr. Dion stated that CDMH was independent from county mental health agencies. CDMH did not contract with any county mental health agency for any specific IDEA services, and it had no authority to sanction or compel county mental health agencies to provide AB 3632 services. CDMH has never directly provided mental health services to a student, and Mr. Dion knew of no incidence of a community health care agency refusing to provide mental health services prior to the Governor’s October 8, 2010 line-item veto. He was unaware of any contingent CDMH policies or procedures in the event community health care agencies failed or refused to provide AB 3632 related mental health services. 57. Mr. Dion acknowledged the existence of the interagency agreement between CDE and CDMH. He was not involved in its drafting and considered the interpretation and application of the agreement to be “above his pay grade.” Accordingly, his testimony and views regarding the interagency agreement have little weight in these proceedings. 58. Charles Anders, Chief of the Local Program Financial Support for CDMH, provided testimony at hearing, stating that CDMH was a mere “pass through” for AB 3632 funds. After receipt of appropriated funds in a budget act, CDMH allocated the funds according to a pre-determined formula, which was developed and approved by the office of the California State Controller some years before. The allocated funds were, in actuality, reimbursement of claims from the counties for past AB 3632 services, typically two years old. CDMH had no discretion in allocating the funds, could not increase or decrease the appropriation made by the legislature, and was not required to audit the expenditures. No policy existed regarding county AB 3632 claims when CDMH had no money to allocate. CDMH did not administer federal funds for mental health programs and services pursuant to the IDEA. 59. Based upon the Governor’s veto of funding, no money was appropriated to CDMH for AB 3632 services. CDMH therefore had no funds to allocate to the county mental health agencies in the 2010-11 budget. Student’s Expert Witness, Michael J. Franczak, Ph.D.
60. At hearing, Michael J. Franczak, Ph.D. (Dr. Franczak) provided telephonic testimony regarding an appropriate mental health service remedy for Student. Dr. Franczak has been the Chief Operations Officer for Behavioral Health Services through the Marc Center, in Mesa, Arizona, since 2006. The Marc Center manages behavior health services for 3000 individuals who live in community settings, mostly adults and some children. The Marc Center is a provider for, and licensed by, the Arizona department of mental health. The Marc Center provides in-home support services of respite and psycho-educational activities for children, attends IEPs, crafts behavior support plans, and participates in child family teams. Child family teams consist of family members, clinicians, educators, mental health providers, and whoever is important to the child’s services and support. 61. Before working for the Marc Center, Dr. Franczak was the Chief of Clinical Services at the Arizona Department of Health Services, Division of Behavioral Health Services, for five years. He was responsible for the organization, development and direction of the statewide clinical infrastructure and operations for the Division. From 1995 to 2001, Dr. Franczak was Chief of the Bureau for Persons with Serious Mental Illness at the Arizona Department of Health Services, Division of Behavioral Health Services. The Bureau monitored services for 22,000 individuals throughout the state. He was responsible for the development, implementation and monitoring of community systems of care, including the transition and discharge process from psychiatric facilities to community behavioral health systems. Dr. Franczak has participated in numerous federal, state and private agencies and organizations as a panelist, expert, or consultant, in relation to the delivery of community-based mental health services that address clinical and social needs, such as housing, vocational and case management, and behavioral health services. He has made more that a hundred presentations, authored 13 chapters and journal articles, was awarded 12 federal grants, and has received numerous awards and recognitions. 62. Dr. Franczak received his Bachelor of Arts in psychology from LaSalle University in 1971, a Master of Arts in psychology from Montclair University in 1972, and his Ph.D. in psychology from Saint Louis University in 1976. He has taught general psychology, physiological psychology, learning theory, developmental psychology, developmental disabilities, behavior therapy, history and systems of psychology, and introduction to psychology, to graduate and undergraduate students. He presently serves as an adjunct faculty member of Arizona State University, supervising doctoral and pre-doctoral psychology internships. He has been involved in the mental health system for 35 years, primarily as an administrator the past 16 years. Dr. Franczak was qualified to give expert testimony regarding mental health and behavioral services to patients transitioning from residential mental health facilities. 63. Dr. Franczak developed expertise in person-centered treatment planning, a model started in developmental disabilities about 25 years before. The basic model proposes that, in order to have a plan in which the patient will want to participate and succeed, the patient needs to be at the center of the plan. The person at the center helps fashion what the treatment should achieve, as opposed to having professionals dictate the purpose and goals. The person-centered treatment model is a system of care used in the child family team approach to treating mental illness in children and young people. In the child family team approach, the parents and the child assist in identifying the child’s goals, preferences, values, and who should be involved in the child’s mental care. This approach is related to the wraparound care policy, which is a national best practice model, used in many states, including various community mental healthcare agencies in California. 64. Dr. Franczak reviewed documentation regarding Student, which included IEPs, assessments, e-mails, and progress notes. He was aware of Student’s early onset of bipolar disorder, the increasingly violent behaviors, the aggressive prescription medication regimen, and the consequential sleepiness and lethargy in school, causing lack of attendance. Dr. Franczak knew of Student’s monthly psychiatric treatment and the weekly psychological therapy, as well as services provided by Student’s special education program, before the RTC placement. Dr. Franczak opined that the psychiatric, psychological and prescription treatment were ineffective in addressing Student’s bipolar disorder. Student had gone from attending school, to having home instruction, to being placed in a residential program. His experience is that children with mental illness who do not receive adequate treatment will progress to higher levels of restrictive care. 65. Dr. Franczak explained that bipolar disorder must be treated aggressively, especially at early onset of symptoms. Psychological treatment and counseling are important but are often not sufficient. Treatment should include a psycho-educational program, family education, in-home support, and other supplements to medication and counseling. Dr. Franczak stated, in his professional opinion, Student will not develop the tools to successfully live in the community when Student returns from the residential placement. Without coming back to an adequate transition plan of recommended practices, Dr. Franczak believes Student will return to a RTC in six months or less. 66. Dr. Franczak believes the most effective treatment strategy would be those similar to a person-centered or wraparound service model. Wraparound models, which are often used in California, and even by LACDMH, would require a comprehensive team consisting of educators, Parents, mental health service providers, people from school who interact with Student, the county health case manager, and any other individuals who can contribute to Student’s care. Such a team would be better able to evaluate not just what was wrong with Student, but ascertain when Student was doing well. Also, a behavior specialist should be part of the team, to understand the contingencies which resolve some of Student’s behaviors. This would require a functional analysis assessment (FAA), which examines the details and triggers of problematic behaviors, in the home, at school, and in the community. The wraparound team could then develop strategies for a positive behavioral support plan to reinforce positive behaviors. Dr. Franczak stated that, given the seriousness of Student’s behaviors, after the completion of the FAA, the team should meet bi-weekly for two weeks, weekly, and then monthly as the plan takes shape. According to the literature, recommended treatments for bipolar disorder are aggressive and comprehensive. If left untreated, bipolar disorder could lead to physical changes in the brain. 67. Dr. Franczak based his opinion on his years of experience in watching patients come out of residential treatment and return to the community without adequate supports. Dr. Franczak believes that Student would have a high probability of returning to his problematic behaviors without proper services. However, Dr. Franczak admitted that Student’s actual mental health needs cannot be determined until Student was deemed ready for discharge from the RTC. Dr. Franczak never saw or examined Student, did not communicate with Student’s treating doctors or therapists, and had only spoken to Student’s attorney. Student had been in RTC only a few weeks at the time of hearing. No evidence indicated when Student would be discharged and no admissible evidence was introduced which indicated what Student’s actual mental health needs would be when Student was eventually discharged. Dr. Franczak acknowledged that Student’s related mental health services, after exiting the RTC, would be an IEP team decision, noting that every case was different. 3. District disagrees, and contends that Student was never without a FAPE, and that any delay in a RTC placement was due to LACDMH’s refusal to appear at scheduled IEPs. LACDMH asserts, on the other hand, that it did not cause any delay because it could not offer the RTC placement until District changed Student’s eligibility to ED. LACDMH further contends that it offered the RTC at the November 17, 2010 IEP, which was the first IEP following Student’s eligibility change. Finally, even if there was a delay in RTC placement, District and LACDMH claim that Student continued to receive a sufficient educational program through the home hospital program until his enrollment at Heritage. CDMH contends that it had no legal obligation to provide mental health services to Student, as CDMH has never provided AB 3632 services. CDMH further contends that legislative design required the community mental health agencies to provide AB 3632 services, and not CDMH. CDMH’s role was to abide by its Interagency Agreement with CDE, and funnel appropriated AB 3632 funds to the counties, pursuant to a formula over which it had no control. CDMH further claims that OAH has no jurisdiction because CDMH is not a proper party to a due process proceeding. 7 The timeline to complete the AB 3632 assessment began to run from the date Parent signed the consent to LACDMH’s assessment plan (5 Cal. Code Regs, §60045(b) and (d)) and not from the January 2010 consent for referral. The evidence did not address when Parent consented to assessment. Student mentions the delay in the complaint and final brief, but does not raise the delay as a legal issue for due process determination. Accordingly, the AB 3632 assessment’s timeliness is not part of this decision. 9LACDMH did not argue at hearing or in its closing brief, that the Governor’s veto and alleged suspension of the AB 3632 mandate justified its failure to attend. LACDMH does not argue that its AB 3632 obligations were suspended by the October 8, 2010 veto. Accordingly, this decision need not address why the Governor’s actions failed to suspend the mandate. 21. Student contends that he is entitled to compensatory education and compensatory mental health services for the period of time that Student was denied educationally related mental health services. Specifically, Student seeks an order awarding mental health services similar to those described by Dr. Franczak. District, LACDMH, and CDMH assert that the proposed mental health services are too speculative because Student’s special education needs upon RTC release are unknown. 1. Respondents, jointly and severally, shall pay for 110 hours of compensatory education, not to exceed $100 per hour, through a private learning center, similar to Sylvan Learning Center or Mathnasium, to be used at the discretion of Parents for the benefit of Student, following Student’s discharge from the RTC. 2. Student must use his 110 hours within two years after the discharge from the RTC, or the services will be forfeited. Education Code section 56507, subdivision (d), requires that this Decision indicate the extent to which each party prevailed on each issue heard and decided in this due process matter. Student prevailed on the sole issue.